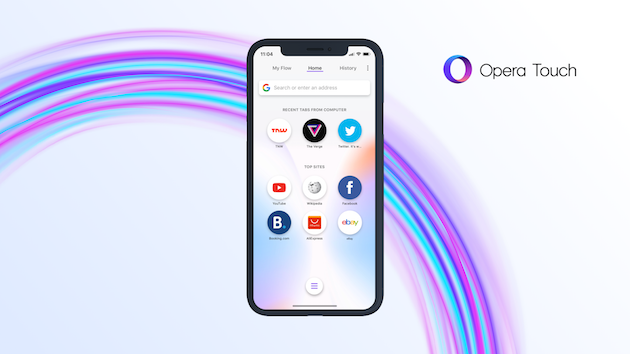 Opera Touch, the award-winning mobile browser launched in April on Android, is coming to iPhone. It combines high-end technology with impactful aesthetics to address the needs of iPhone users. 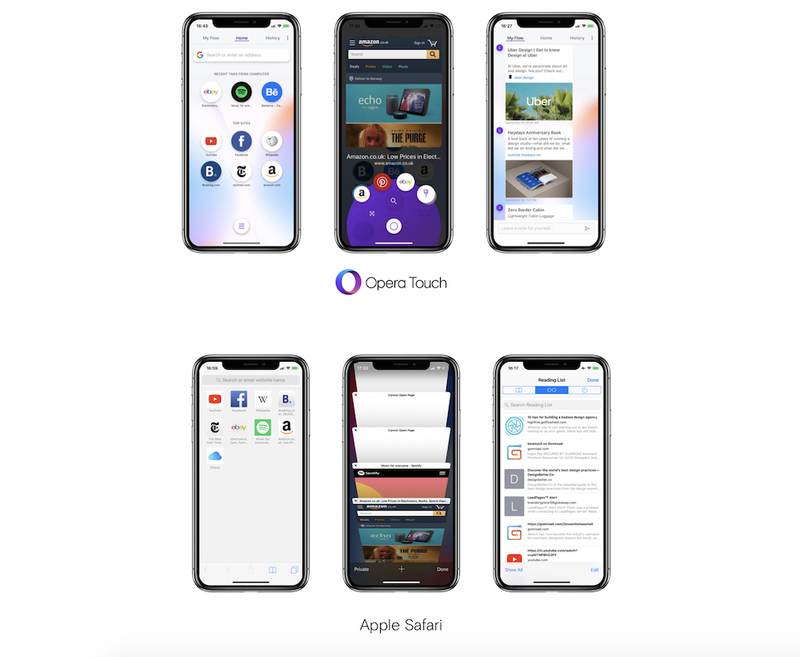 To prove our point, we have prepared a comparison of some key features in Opera Touch and Safari. Looking at the image you will notice that, the home screen in Opera Touch looks more modern. It not only dynamically adapts to your browsing patterns, displaying your favorite websites but also displays the last tabs from your computer browser.